This multicultural, multi-generational market is a mashup of jewelry, toys, handicrafts, books, clothing, incense and soul food. 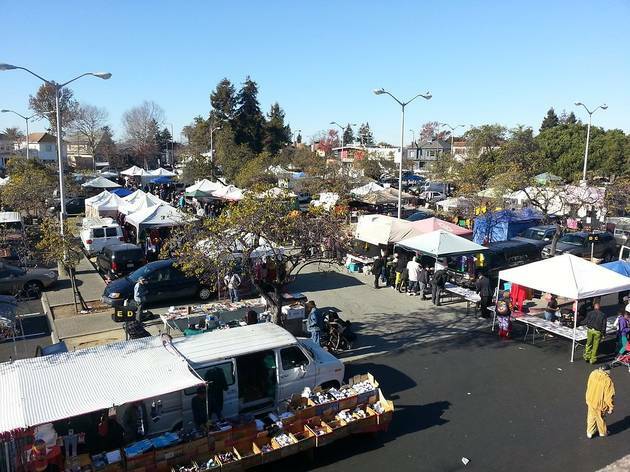 The weekend market usually hosts around 30 vendors and is held in the parking lot of the Ashby BART. The focus here is less on vintage rarities and more on housewares, clothes and beauty products, including beads, body oil, colorful fabrics and African imports. 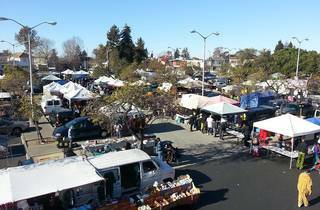 Many of the vendors and shoppers are market regulars, lending a congenial neighborhood feel. Depending on the day, you might find food vendors serving West African or Caribbean specialties alongside the usual taco trucks.